It sounds too good to be true, doesn't it? Hair extensions that don't require weaving, braiding, or harsh chemical bonding seem like a distant, impossible dream — but they're not. At Valerie's Barber and Beauty in Jackson, New Jersey, we offer the most amazing Allores Hair Extensions, the first extension that doesn't require braiding, weaving, or bonding to your scalp. This is not a gimmick. These extensions are tracks of the highest quality human hair attached to a polyurethane base. The polyurethane base is the tool for attachment of the hair. This is a durable system that does not need to be replaced during every maintenance visit. When you need a hair extension maintenance service, we will simply remove the extensions and clean them. Then, they are ready for another application. Allores Hair Extensions offer the most comfortable and virtually undetectable method of attachment available on the market today. You will truly love how they look and feel! At Valerie's Barber and Beauty, we are happy to answer any questions you may have as we assess your hair. 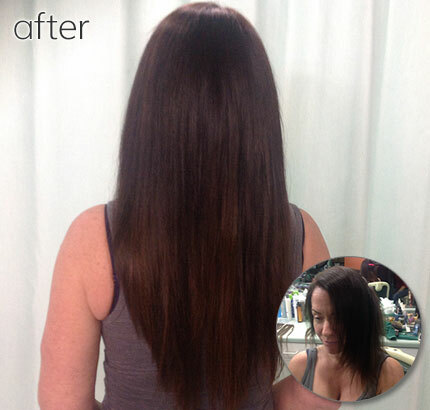 Schedule a free consultation before booking an appointment for your hair extensions. This will be your chance to explain your hair type to Val and tell her all about your hair history, from color and highlights to texture and split ends.